Featured in this week’s History of Magic is Harry August Jansen, who became better known as Dante the Magician. He was born in Copenhagen, Denmark in 1883. He moved to the United States 6 years later and eventually travelled the world as a highly successful magician illusionist. He became so influential that at his death in 1955 brought to an end what historians called the “Golden Age of Magic”. He became famous for his phrase ‘Sim Sala Bim’, nonsensical words taken from an old Danish children’s song. He was to become one of the most successful magicians of the era and was known as The King of Magic. His travelling illusion show toured as a musical revue with a troupe of 40 assistants, many tons of equipment and props, and large scale illusions. Harry Jansen made his stage debut at age 16 and soon afterwards was ready to begin a 5 year long world tour under the banner of The Great Jansen. In 1922 Howard Thurston saw Jansen perform and recognised his talent and possible competition, so engaged him to build and co-produce Thurston’s 2nd show. 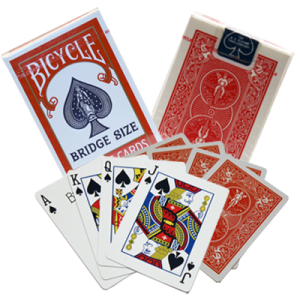 Top illusionists often ran two separate shows at the same time when they had a captive market. It was Thurston who gave the name Dante to Jansen who achieved almost the same fame. Their business partnership was very successful and beneficial to both men. Jansen now Dante had his own magic factory that facilitated the building of all their combined quality magic tricks and illusions. Once ready, Thurston took his show around the United States while Dante toured the world, beginning in Puerto Rico in 1927. At the outbreak of World War 2 in 1940 Dante returned to the USA to continue performing. 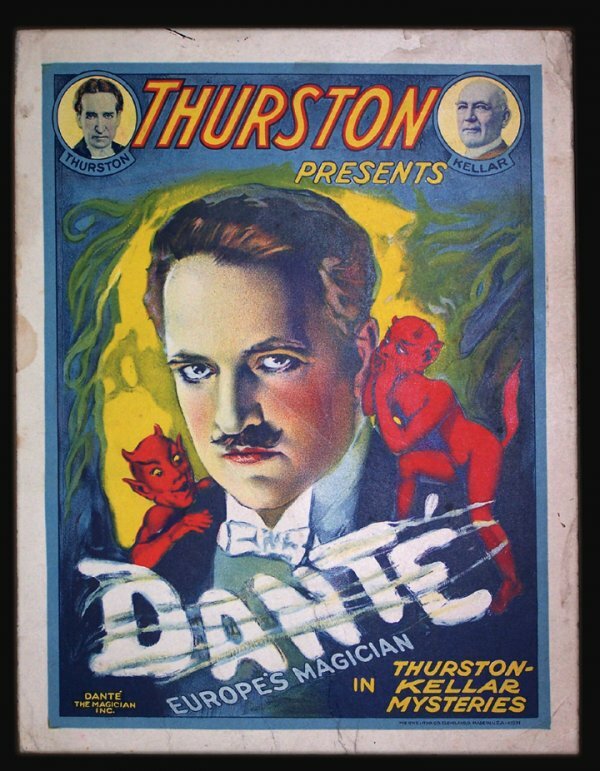 Dante not only performed as a stage magician, but appeared in variety theatre, vaudeville, burlesque, and always appeared as the elegant highly successful gentleman of means with his elaborate magic tricks and grand illusions. He made many movies and later went into television. His movie with legendary funny men of film, Laurel and Hardy titled, ‘A Haunting We Will Go’ was a huge box office success and is still available on DVD. Dante the Magician appeared in nearly very large theatre across the United States and toured nearly every country in the world. 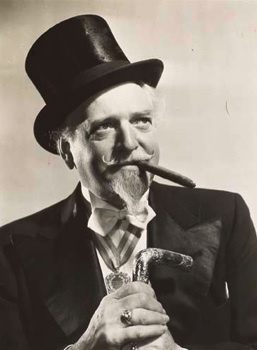 Throughout his life he had a standing offer of $10,000 to any entertainer who had appeared in as many theatres and countries as Dante the Magician had. His theatre dates were long often extended seasons too and all financially successful. He always dressed as the ultimate and successful gentleman with expensive clothes and accessories and the usual finery that accompanied those of wealthy people. Always immaculately attired in silk top hat, cane and cigar. A lesson that perhaps some scruffy street performers could learn from. His stage settings often featured originality themes like his “Un Sevilled Barber”, a quick change sequence set in a barber shop. His “Backstage” featured Dante performing with his back to the live audience playing to a painted backdrop screen. The real audience saw or thought they saw, how a girl was produced from a pair of empty boxes. At the last minute a boy instead of a girl made a surprise appearance. He performed the classic Sawing in Half illusion and made a spectacle of ‘Where Do the Ducks Go’. He also used a number of live pigeons and ducks. Many celebrity performers often stopped celebrating their birthdays in their 30’s whereas Dante the Magician was different and enjoyed playing the part as a spry old time performer. After a particularly deft deception he would chuckle to his audience, “Not bad for an old bird of 70”. He had a long season on Broadway at the renowned Morosco Theatre with his show Sim Sala Bim. However with the advent of television becoming more of an attraction, theatres began to feel the effects of being unable to attract theatre patrons and vaudeville was in its dying throws. The great theatrical era of wonderful entertainment was coming to an end but magic had played a great part in keeping theatre alive. Dante the Magician’s final bow was taken at a combined convention of the Society of American Magicians and the Pacific Coast Association of Magicians in Santa Barbara California a week before his death. He retired to his Rancho Danto in Northridge, California, a truly beautiful place. Fruit trees lined the long driveway and peacocks roamed the gardens. There were 14 large buildings on the property and a giant devils head adorned the entrance to his personal “Inferno”. One room housed his colourful lithographs, scrapbooks and publicity material. Another room housed small apparatus and magic tricks and the adjoining rooms housed his Oriental mementos and tons of crated illusions. On a stage he had an illusion in preparation for a television spot he never got to present. Dante the Magician passed away quietly on June 5th 1955. Dante had been credited as the number one magician in the world at the height of his career, thus following the traditional magical lineage. He passed this mantle onto Lee Grable who has subsequently passed on with the mantle now being held by Lance Burton. Like so many others, Dante the Magician will be revered in the history of magic for the part he played in keeping magic alive, vibrant and ever-changing.